Our offered products are specially designs which comply with international norms to fulfill client´s unique requirement. Backed with high tech technology and ultra modern infrastructure our customer can enjoy the actual benefits of these valves. 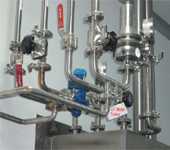 GT Metals & Tubes is a trusted and name when it comes to Pipe Erection services & project services in Ahmedabad, India. G.T. Metals & Tubes is worldwide recognized organization engaged in designing and manufacturing a supreme range of SS Electro Polished Pipe in Ahmedabad, India. Since the company incorporated in 1998, we have grown rapidly to become global leader. To improve and expand our business, we are regularly making all essential changes and upgrading technology to face the present and upcoming challenges. We have a team of young visionaries who are excellent to perform their duty. 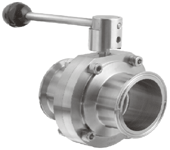 The company is providing all types of SS Butterfly Valve using its advance and international quality production technique. We have been success in expanding our business in domestic as well as international market by fulfilling customer´s every standard and unique need and demand. With our state-of-the-art-manufacturing facility, we are able to produce every type of tube fittings including Silicone Tube. Our upgraded and high tech machines and technology increase our production capacity. We have a team of determined and experienced professionals who help the client to give right and complete solution for their need. 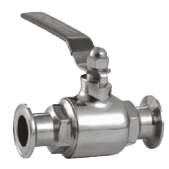 Our company is highly admired manufacturer of products like Stainless Steel Tank, Stainless Steel Ball Valve, Stainless Steel Clamp. Our company has carved an unparalleled position in the industry by making relentless efforts to cater the clients with premium quality SS Clamps, SS Manufacturing Tank and other Pharma Turnkey products. A pipe fitting is definite part used in a piping system, for changing direction, branching or for change of pipe diameter, and which is mechanically joined to the system. 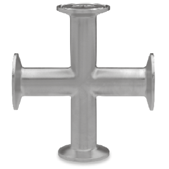 Our products finds application in varied industries like Chemicals, Cement Industries, Oil & Natural Gas, Petrochemicals and others We have maintained a favorable reputation and good will in the market by supplying a flawless range of quality Stainless Steel Fittings. 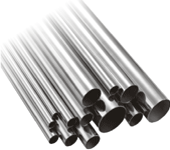 Having been present in the Stainless Steel Industry, we have gained success throughout world due to our engineering expertise, product accuracy, consistency, timely delivery and prompt communications. Continual improvements in technology and innovations have lead to GT Metals the forefront of new developments and trends in manufacturing. Contact us for your accurate requirements and we assure our clients with personal attention that will benefit your business.